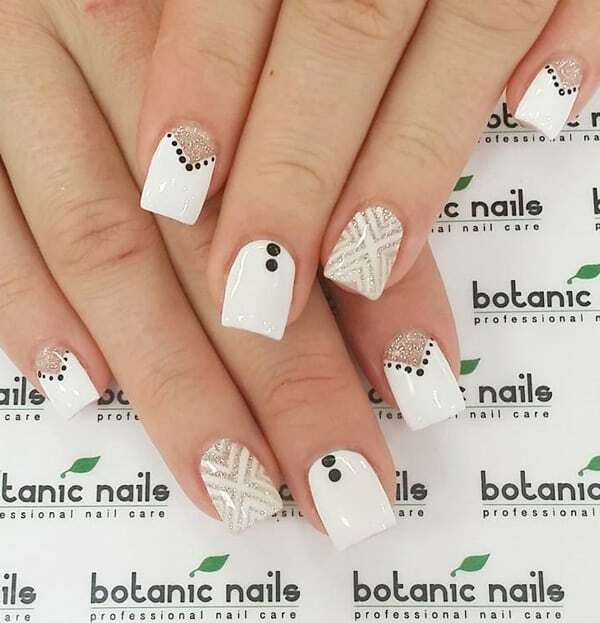 Nail art is a creativity to decorate and paint your finger nails and toenails. 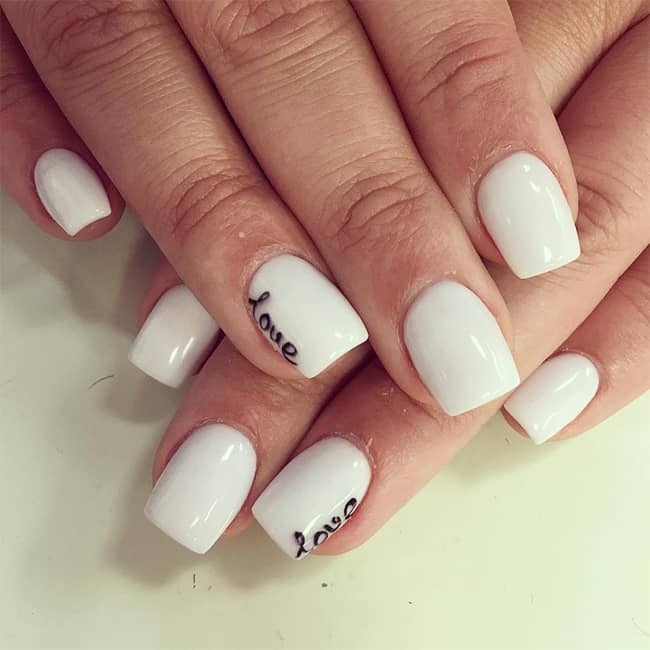 Manicure and pedicure are the treatments or ways to polish the nails. 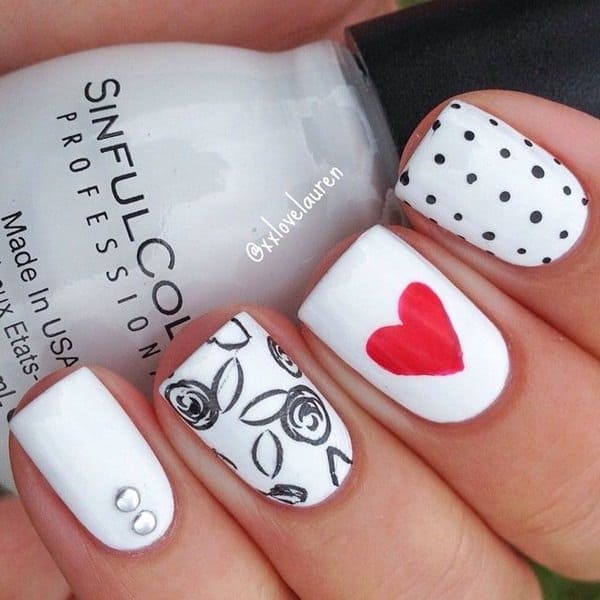 Nail polish design is one of the makeup parts for the women. 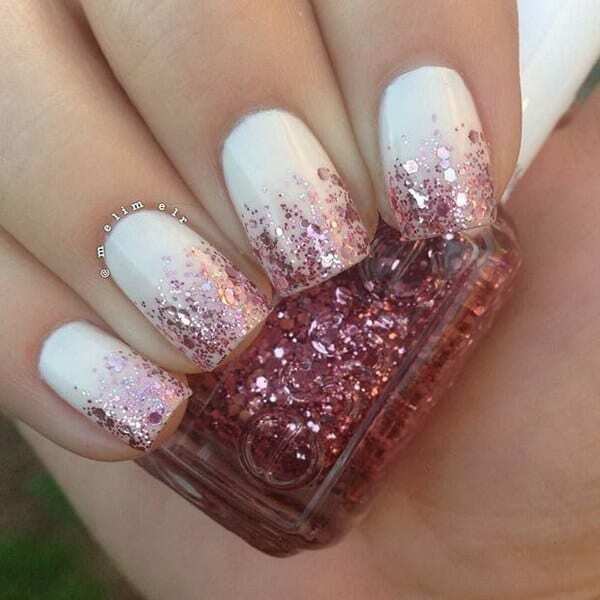 Women mostly used different colors of nail polish in their makeup. 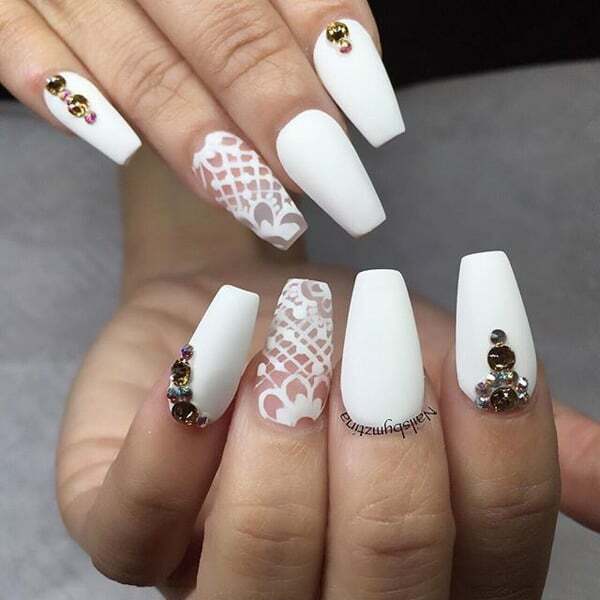 A few years ago, some colors of nail polish will be available and a mostly white, red, brown color used for it and long nails not to be used. 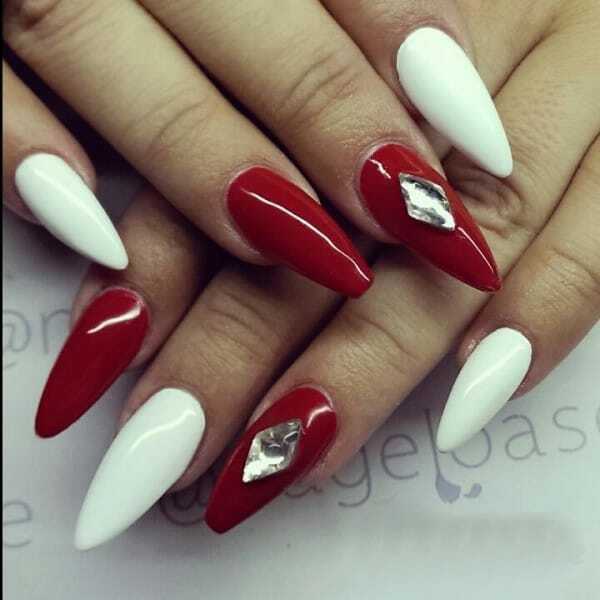 But now a wide range of colors available for the nail polish and stylish fake long nails also available today. Where from it comes, don’t know, but it appears in different parts of the world around the same time. 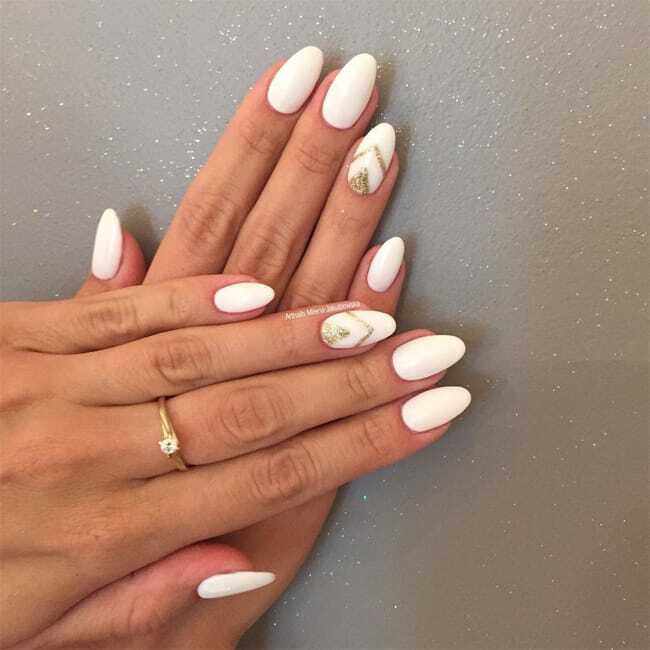 In 21st century, nail designs or art’s popularity in media started with women magazines. 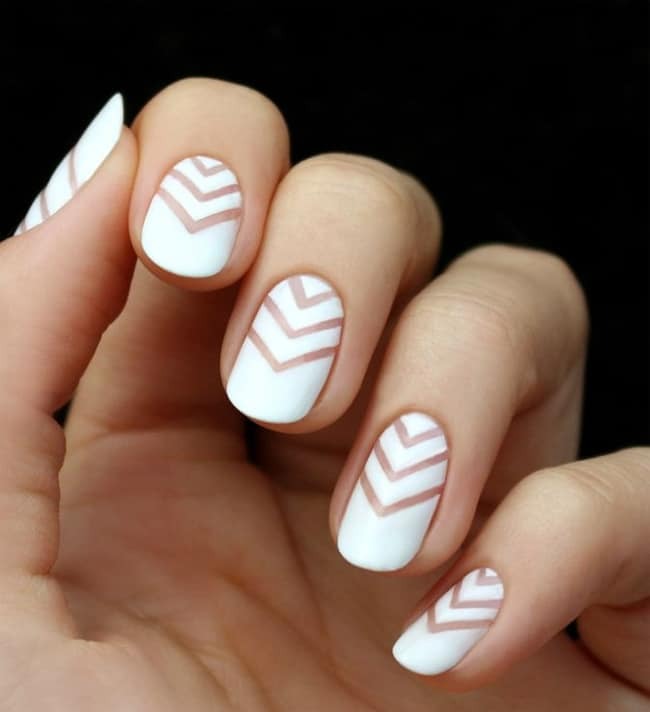 It becomes popular after 2000’s because Internet age and common use of social media helps to popular it in women. 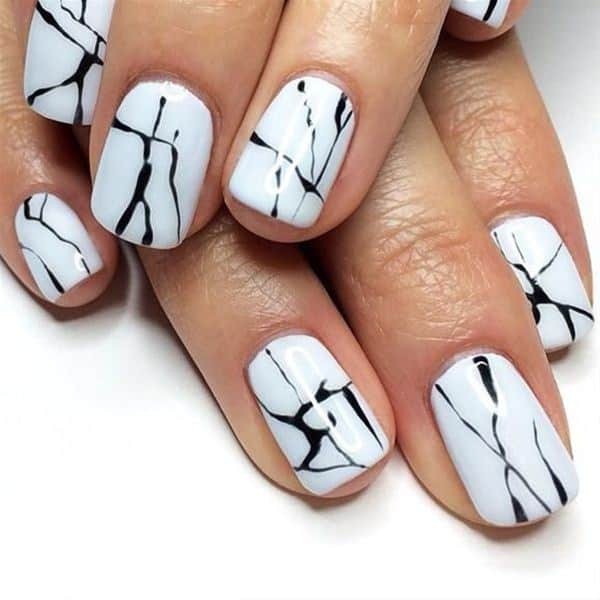 Social media make it easier to connect with the people and show their designs and creativity. 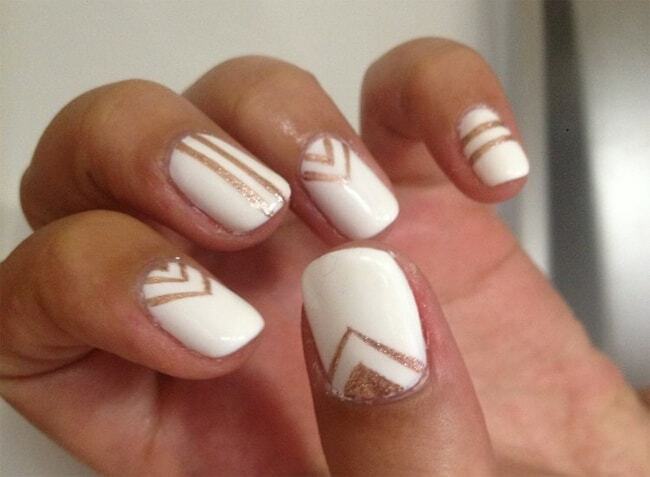 Now, women are use different colors to decorating nails but the simple white nail designs are look great. 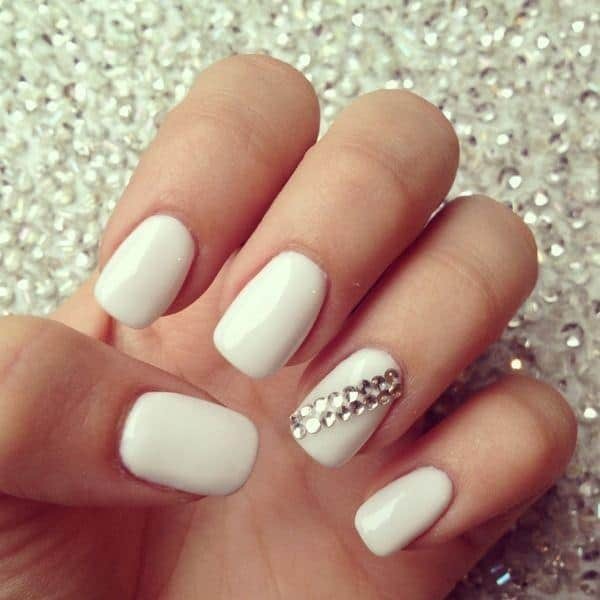 There is different variety in white nail colors like high-gloss white, icy white, warm white, brightest white and so on. 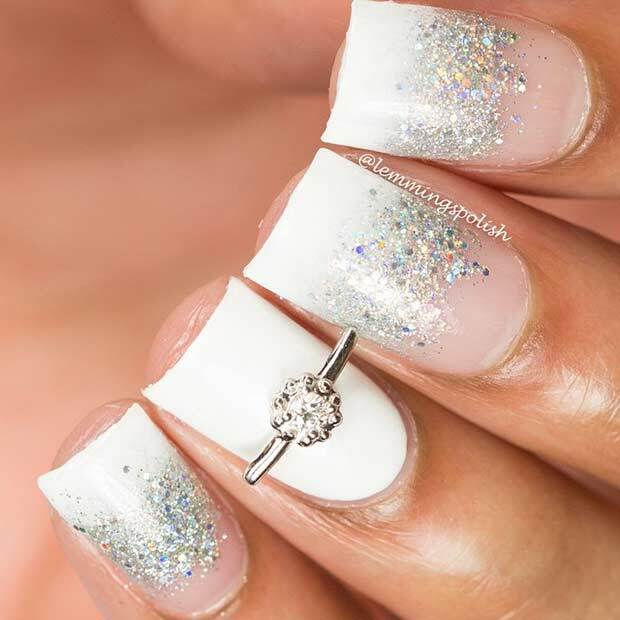 This makes white nails more beautiful. 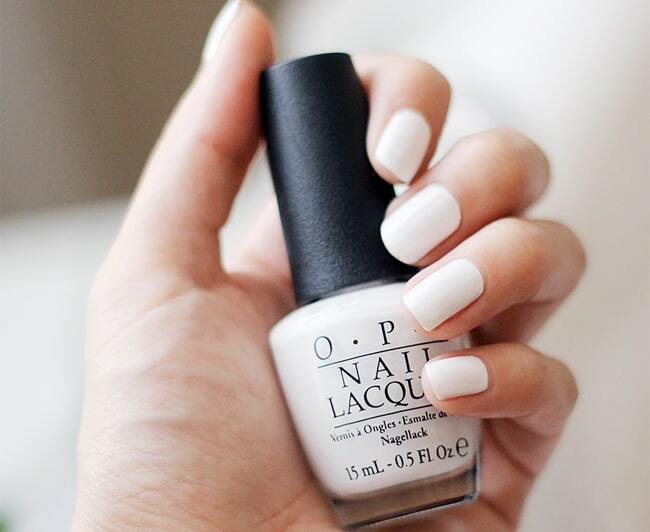 But some people think that white color is for old people and it has neither life nor fun to it. 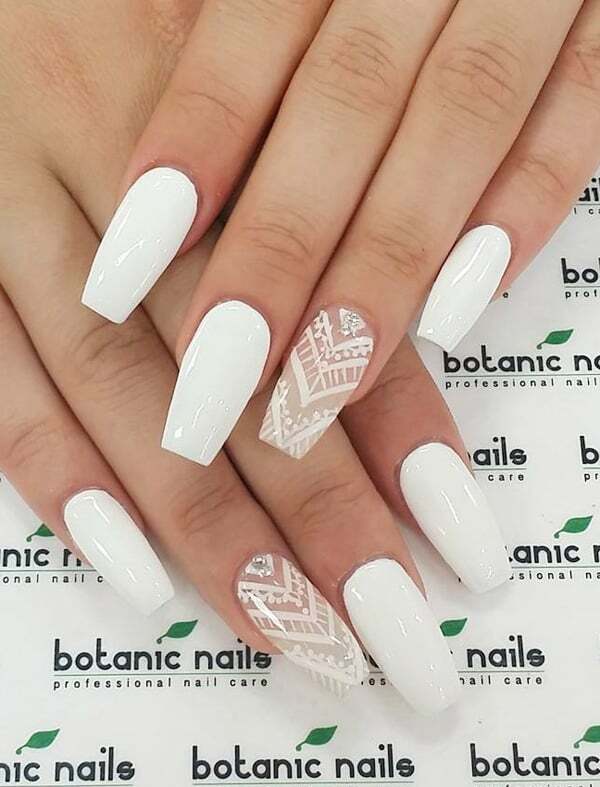 But behind that white color looks pure and white dresses also looks so beautiful even white hair has become the trend. 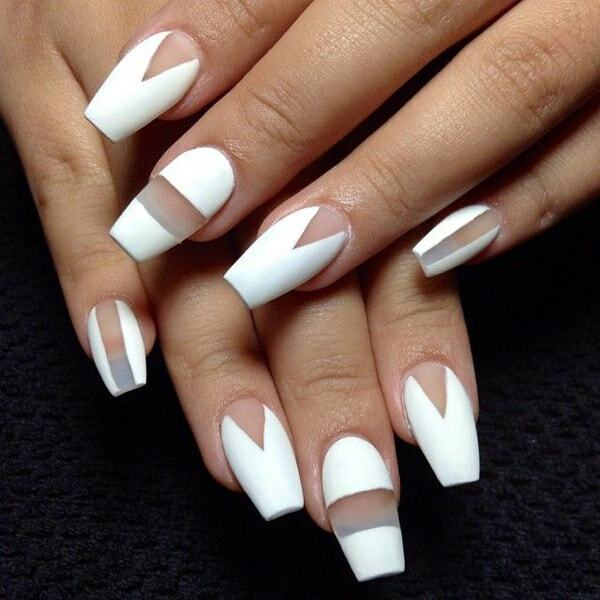 So don’t think white color is boring or lifeless, white color in fashion and beauty is the same like other colors. 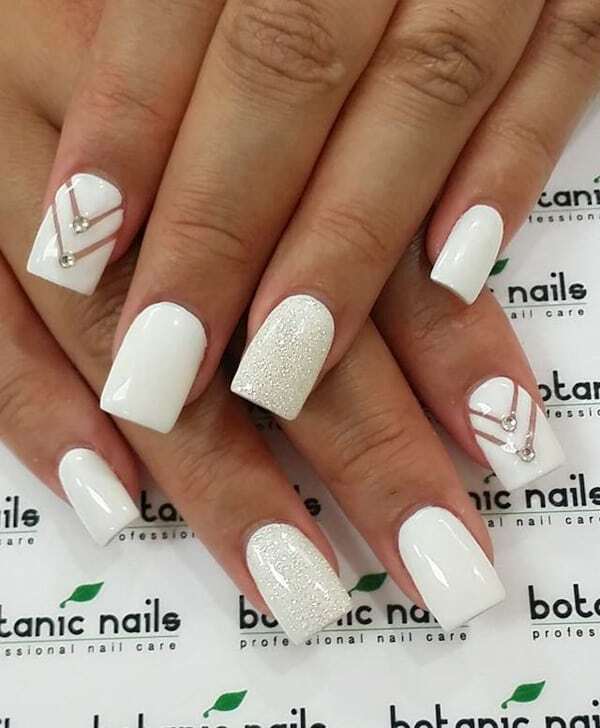 It all depends on your creativity, how you create a way to make white nail designs beautiful, great and classier. All colors of nature are beautiful, looks great but human choice depends what he want to choose. 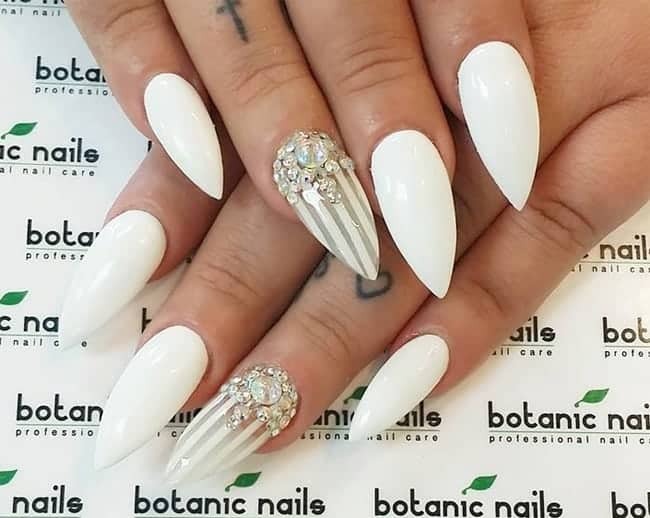 Every color has its own specialty but white color also has specialty and simplicity and all depends on your creativity, how you make it more beautiful.